Federal Reserve officials are split on when to end the central bank's controversial bond-buying program, according to minutes from a June meeting, released Wednesday. "About half" of the 19 Fed "participants" expect the economy will improve enough to warrant an end to QE3 later this year. But only 12 Fed officials get to vote on monetary policy at each meeting, and of those key "members," "many" said they need to see further improvement in the job market before they'd be willing to start gradually winding down the stimulus program. "Many members indicated that further improvement in the outlook for the labor market would be required before it would be appropriate to slow the pace of asset purchases." Investors welcomed that news and stocks rose shortly after the minutes were released. In Fed-speak, "participants" refer to the 19 people who debate monetary policy at the central bank's meetings, but the word "members" refers to the 12 voters, who actually set policy. That distinction was key in how investors interpreted the minutes Wednesday. At a press conference last month, Federal Reserve Chairman Ben Bernanke laid out a scenario in which the Fed would start cutting its monthly asset purchases gradually this year, but not end them until mid-2014, as long as the economy improves and the unemployment rate falls to around 7%. 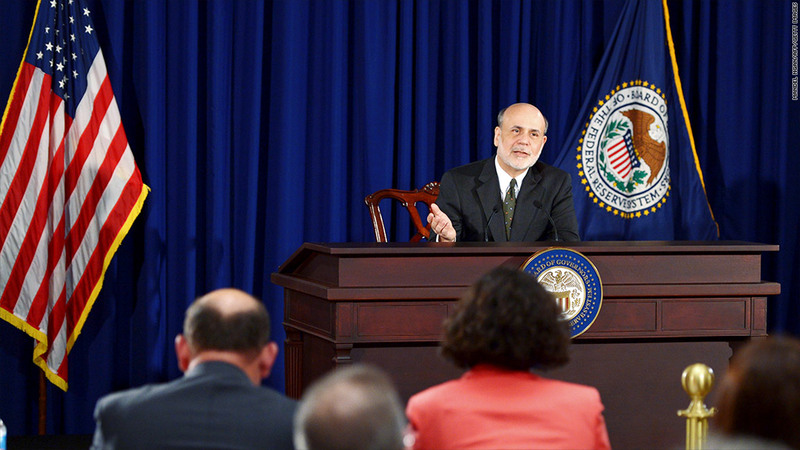 That announcement initially sent stocks plunging and interest rates climbing, until Bernanke's colleagues took to the speaking circuit in full force, to calm investors' nerves. The Fed's controversial stimulus program includes buying $85 billion in Treasuries and mortgage-backed securities each month, in an effort to lower long-term interest rates. 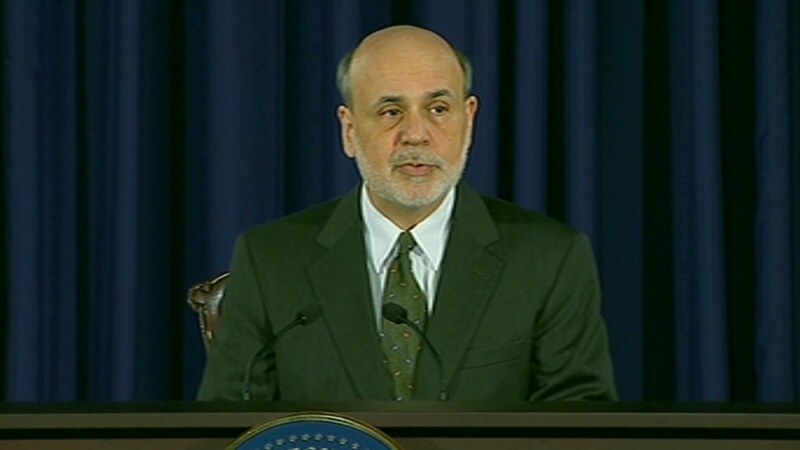 It marks the third round of so-called quantitative easing, which is why it's nicknamed QE3. The Fed has also been holding short-term interest rates near zero since December 2008, and has plainly stated that, regardless of what happens with QE3, it plans to keep short-term rates near historic lows until 2015.